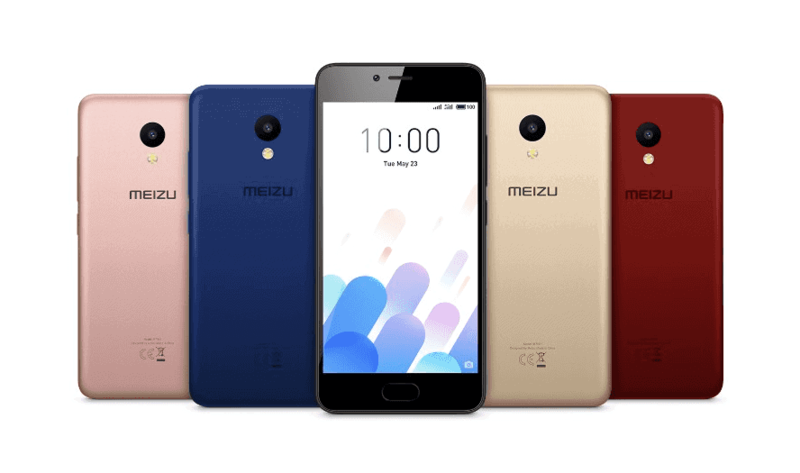 Chinese company, Meizu has introduced the M5c smartphone in China. It will be available in Pink, Black, Gold, Red, and Blue colour for options. The company has not revealed the price details of the smartphone. The launch of the M5c smartphone in China was first reported by GSMArena. The M5c smartphone offers a 5-inch HD with a resolution of 720×1280 pixels display and operates on Flyme 6 operating system which is based on Android 7.0 Nougat. It has a quad-core 1.3GHz processor with 2GB of RAM and support dual-SIM. The device offers 16GB storage that can be expandable up to 256GB by using microSD card and is back up by a 3000mAh battery. The smartphone comes with a camera at rear of 8-megapixel and a camera at front of 5-megapixel. The rear camera has an f/2.0 aperture and dual-LED flash. The front camera is used for video calling and selfies. It has several features such as – 4G LTE, Wi-Fi 802.11 a/b/g/n, Bluetooth 4.0, GPS, and Micro-USB 2.0. There are some sensors in the smartphone including proximity sensor, accelerometer, gyro, and compass. It has also a fingerprint scanner which is placed at the front of the smartphone. Earlier Meizu has introduced the M5 smartphone in Indian market. It has several features including 4G VoLTE support, a hybrid dual-SIM slot, a fingerprint sensor, an octa-core processor, and a 13-megapixel camera. Previous Post How does thunder lightning affects TV? Next Post What are the uses of microwave?